Not every house is a dream home. Properties offered for sale “as is” indicate the seller plans to sell the home in its current condition, without any further repairs or renovations. Buying a home “as is” can be an attractive option for: investors who plan to renovate and “flip” the home for profit, buyers who plan to undertake a major renovation or build new on the site, or first home-buyers desperate to get into the housing market. Buying “as is” can mean a cheaper price for the buyers. Typically, sellers are just keen to sell as soon as possible. Sometimes this is because a property is an inherited property, a REO property, or because the current owners want to move and not have the expense of paying for any repairs. This can be an advantage for a discerning buyer, who can negotiate even further discounts by asking for credits to fund major items which require fixing. When purchasing a home “as is”, the major risk for your client is buying more than they bargained for. Not all defects are cosmetic and easily spotted. It’s easy to see when a kitchen or bathroom need renovating. But what about when major leaks exist behind the walls, there are structural issues, pest infestations, or HVAC systems don’t work? As a buyer’s agent, you’re potentially in a risky situation when assisting your client to buy a home “as is”. To avoid a lawsuit when your buyer is unpleasantly surprised post-sale, ensure you recommend your client undertake an independent property inspection. Always ask to see the seller’s disclosure of property condition, so your potential buyer can review it early in the process. Disclosures are a legal responsibility, not just a recommendation. Failure to disclose can result in a lawsuit, if the seller (or seller’s agent) is found to be hiding property issues or defects. But, sellers can only disclose what they know. 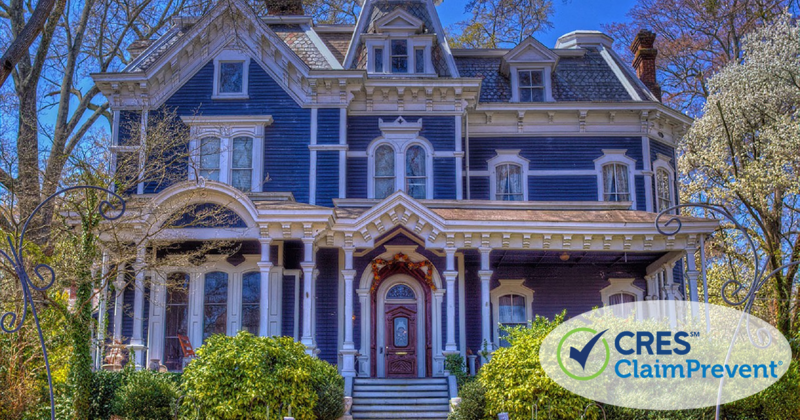 Your buyer can’t simply rely on the seller’s disclosures when making an assessment of the home’s condition. California’s requirements for disclosure are very strict in the sale of property, as detailed in the California Civil Code section 1102. Sellers must declare all issues with the property which can materially affect the value and desirability of the property. This includes physical issues of the property known to the seller and any previously received inspection reports. Sellers should disclose anything important which could impact on the purchaser’s decision to buy the property. Purchasing property is usually the biggest investment a person makes. Recommend to your client that they arrange a building inspection by a qualified third-party. A building inspection will provide your client with the information they need to make an informed decision about whether or not to purchase the property. Experts are able to spot the issues which aren’t so obvious to the naked, and unqualified, eye. Usually, a purchaser who is happy to buy “as is” is up for a “fixer upper”,, but a building inspection will provide a clear perspective of exactly what needs to be done. This provides an opportunity for your buyer to further negotiate on price. As a buyer’s agent guiding a client through an “as is” purchase, you need to not only protect your client’s interests, but also protect your own. It’s important to protect your business and check your real estate errors and omissions insurance coverage in the case of a lawsuit. CRES offers superior protection for real estate agents and brokers — we care about your real estate business as much as you do. Our customized real estate E&O solutions will give you peace of mind. You’ll have on-call access to our experienced legal team 7 days a week, to help you navigate any legal questions you may have. Contact us on our toll-free number 800.880.2747 to find out more.